I am well established, reliable and friendly, with over 15 years experience in all types of appliance repairs, based near Worthing, West Sussex. 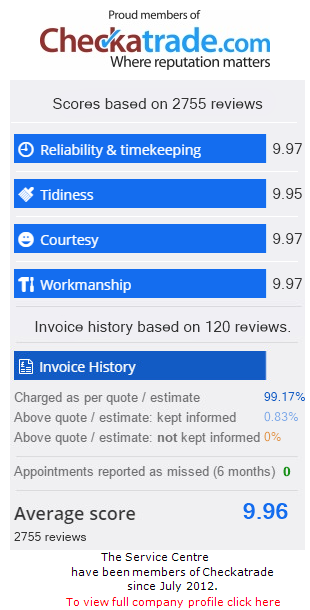 I am Checkatrade approved and offer a fast affordable service to fix your household appliances with a wealth of knowledge and experience.. I repair leading makes and models including LG, Indesit, Creda, Hotpoint, Bosch, Zanussi, Candy, Hoover, Whirlpool, Beko, Lamona, Flavel, Belling, Newworld, Neff, Stoves, White Knight, Smeg, Tricity, Bendix, Delonghi, Diplomat and many more. NB Please note I do not repair Gas appliances or Refrigeration. Fantastic! Trevor was very polite and friendly! Very tidy! Great price! He even removed a giant spider for me! Would highly recommend! Trevor was prompt, efficient, very helpful, friendly and polite. Excellent service. Replacement of hinges to oven door. Inner door glass seal. Very pleased with the service received. Identified the problem with our washing machine and rectified it. Also gave helpful advice on how to avoid the problem in the future. Excellent service carried out by Trevor who was very pleasant, very careful and tidy. Programming fault on Hoover washing machine rectified.